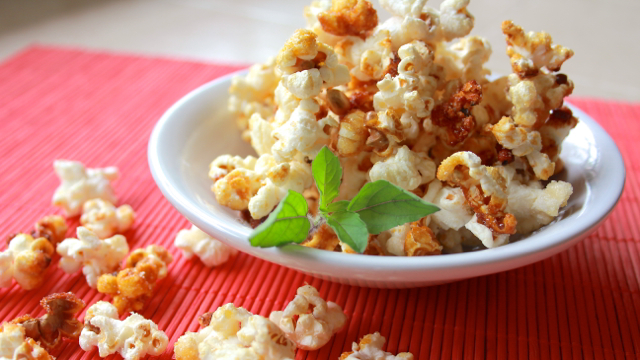 If you are craving something crunchy, salty and sweet, this is the snack for you! 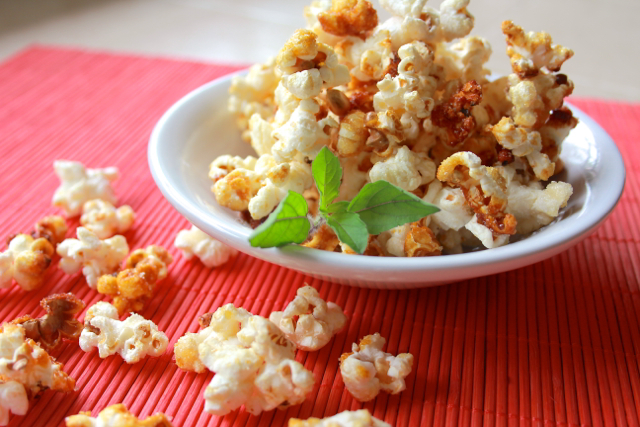 Preparation time only takes 15 minutes and you have a delicious snack that everyone will love!! 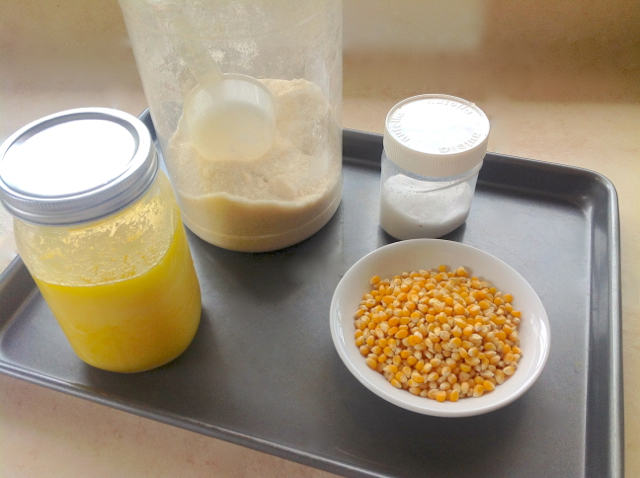 I want to thank Marcus Munoz for sharing this great recipe with me and helping with this tutorial presentation. 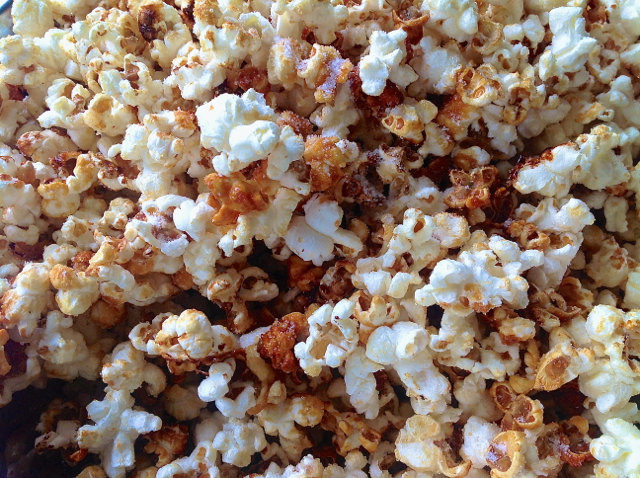 He has truly mastered the art of Kettle Popcorn! 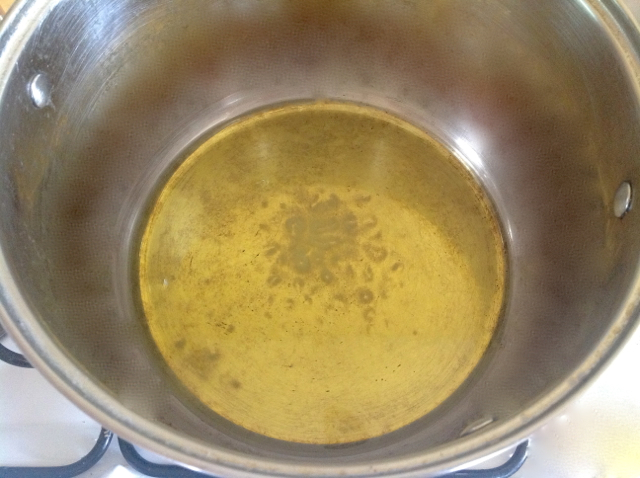 To begin, place the ghee on high flame in a heavy based pot. 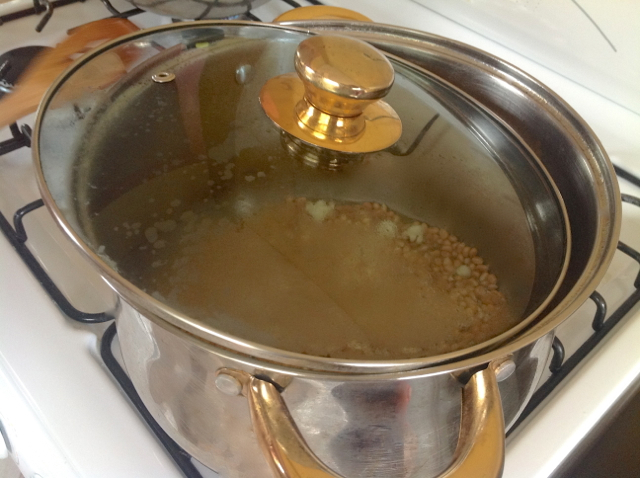 Heat the ghee to just below smoking point. 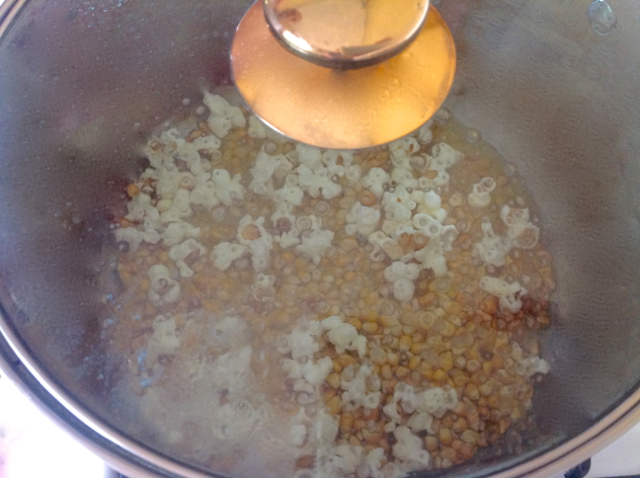 Then add all the popcorn kernels. 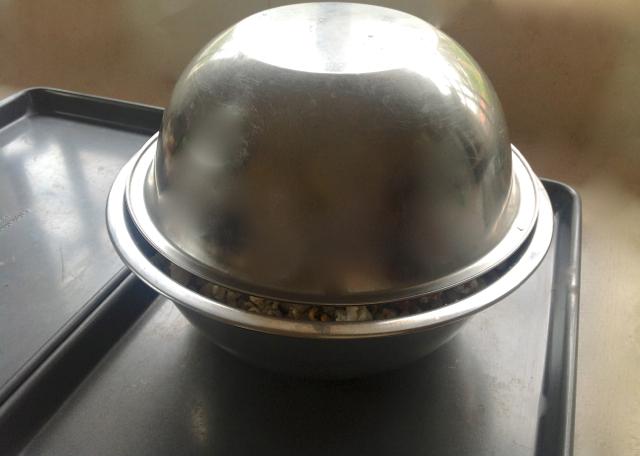 Place a lid on top but do not cover completely. Let a little steam escape. If the oil starts splattering then cover with the lid completely. 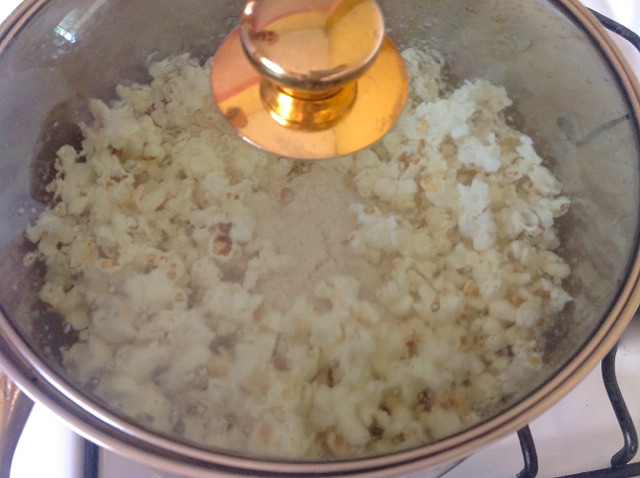 When 40% of the popcorn has popped then it is time to add the sugar. Carefully lift the lid and add the sugar. Put the lid back on. 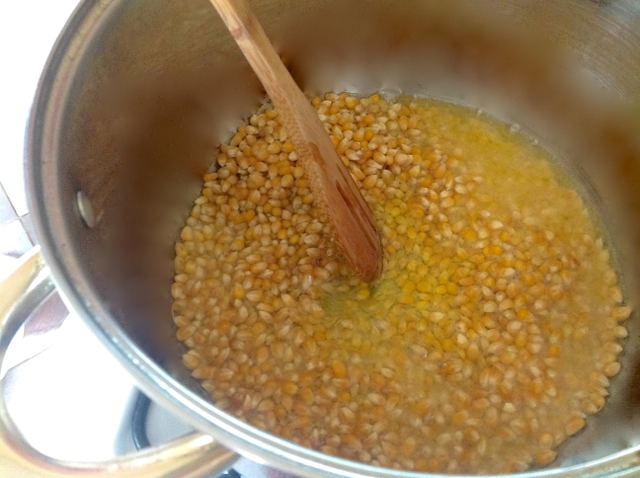 Then while using pot holders, lift the pot and shake the sugar all around inside the pot. 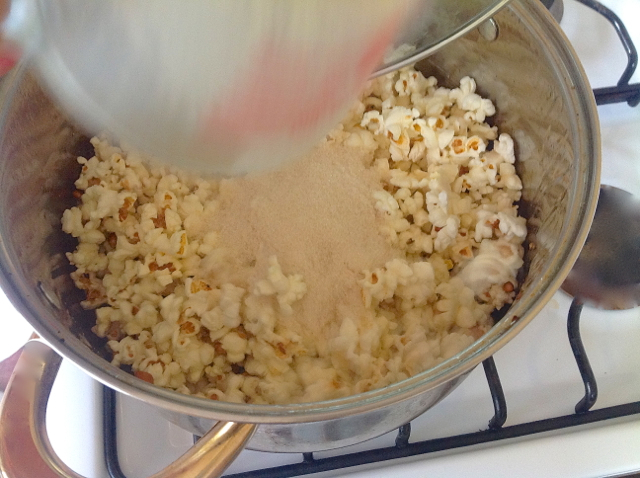 The popping of the popcorn will stop for about a minute while the sugar is being heated. 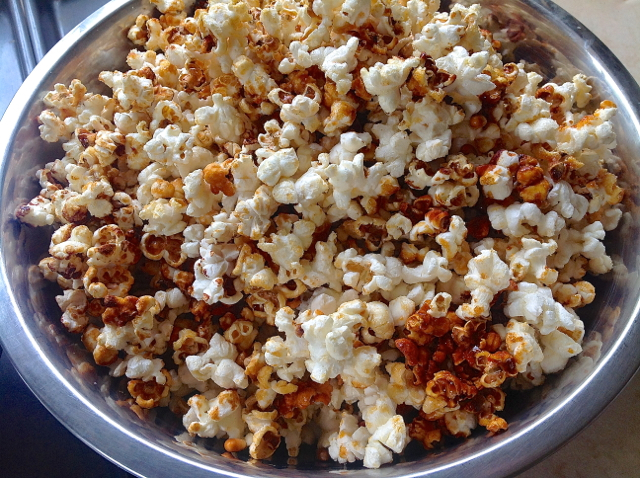 Then the popping will slowly continue in about a minute or two. Take the lid off and give it a stir at this time to make sure the sugar is combined nicely. 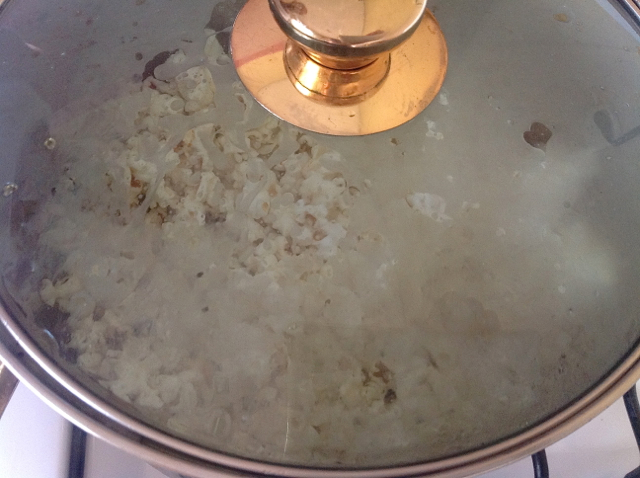 Put the lid back on and continue cooking until you cannot hear the popping anymore after 5 seconds. Then you know it is done. Turn the flame off and pour the popcorn into a large bowl. Sprinkle with 1 tsp of salt. 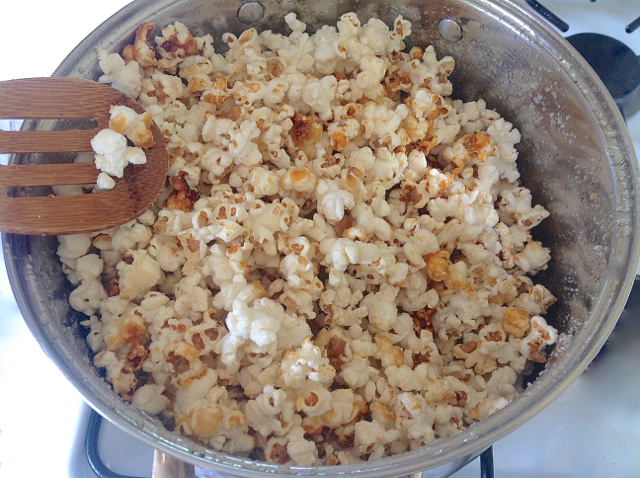 Place another large bowl over the popcorn and give a nice shake. This step is very important!!! 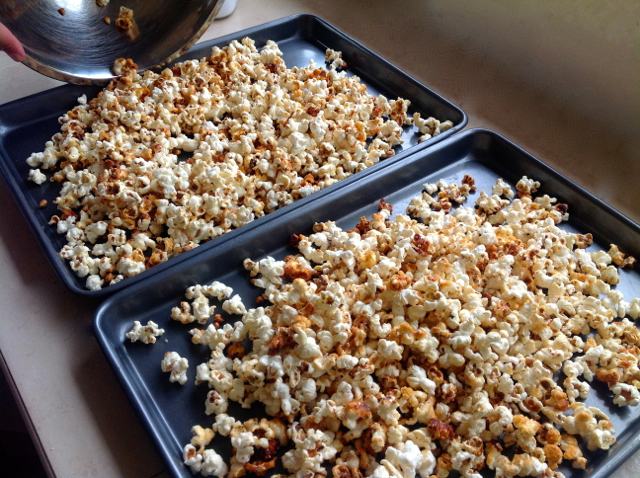 Immediately place the popcorn on two baking sheets for cooling. 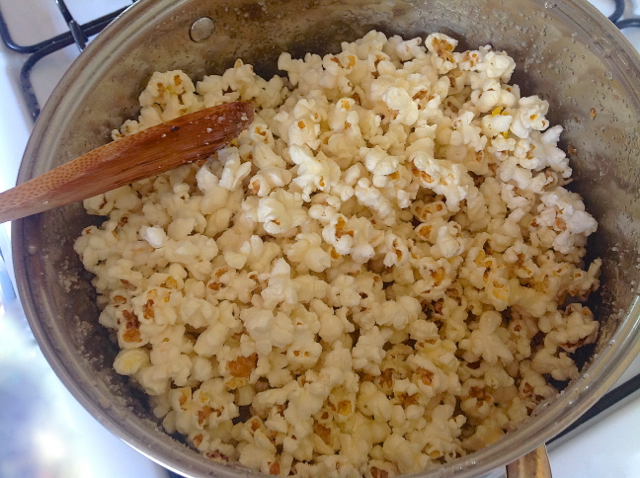 The popcorn needs more space to cool quickly or the popcorn may get soggy and not crunchy if you leave in a small bowl to cool. Cool for about 10 minutes and you are ready to offer to Kṛṣṇa with love and devotion!